The seed was planted when I was a sophomore in college and visited a friend living in another state. While I was there, she took me to visit two of her other friends. They were sisters and lived in a very nice house with their parents. They shared a room (which I found odd for a seventeen and nineteen-year-old). The reason they shared a room though was they’d turned the other bedroom into a dressing room! It was filled with racks of clothes and had a huge mirror. I remember it was a mess in there but the fact that they had an entire room devoted to their clothes and shoes and purses and stuff was pretty awesome to me. Two years ago, I visited one of my best friends and she had turned one of the rooms in her two-bedroom apartment into a dressing room. She also used racks and had a vanity in her room. I had previously considered doing the same thing, but I didn’t want to pay more rent to just to store my clothes. 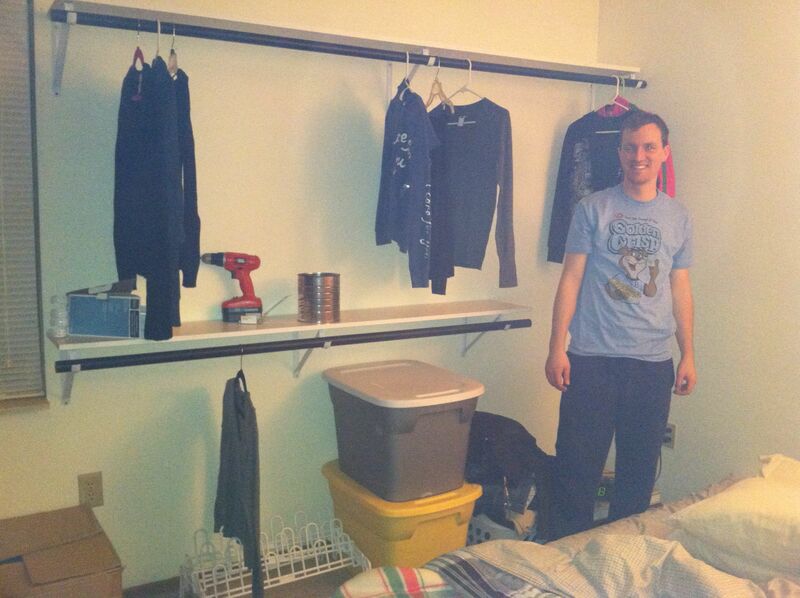 In my last apartment before I got married, I put racks in my bedroom to sort of expand the closet. If you’re looking at this picture and wondering how I piled all of those clothes on those racks without it breaking, I didn’t. 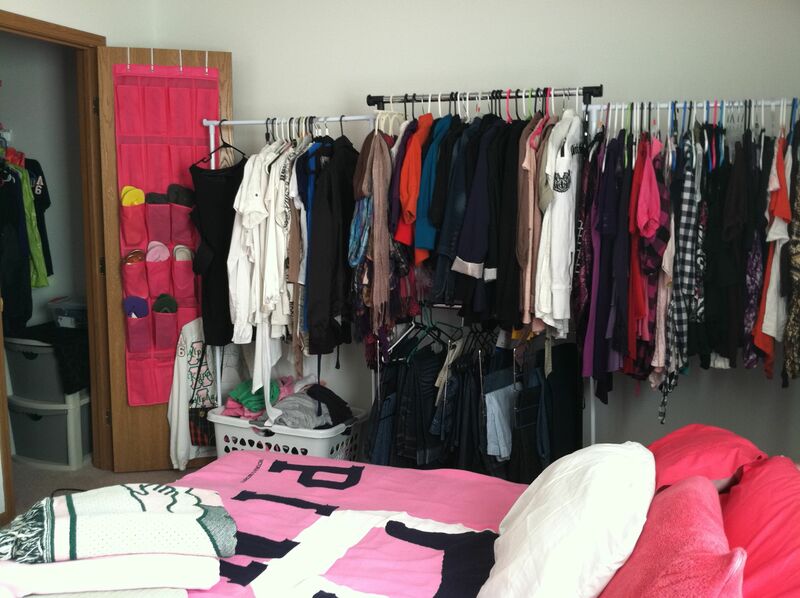 One night, the rack on the right twisted, leaned over then FELL and all of the clothes were on my bed. It was terrible! My husband fixed the rack but then it broke again in the middle of the night when I was asleep! Those racks are so cheap! After my husband and I got engaged, I mentioned that I wanted to turn one of the extra rooms in his house into a dressing room using racks. I knew I needed space for all of my clothes and stuff because there was no way we were going to be able to share one closet. I figured I could just buy more racks so I wouldn’t have to hang a bunch of clothes on just a few of them. 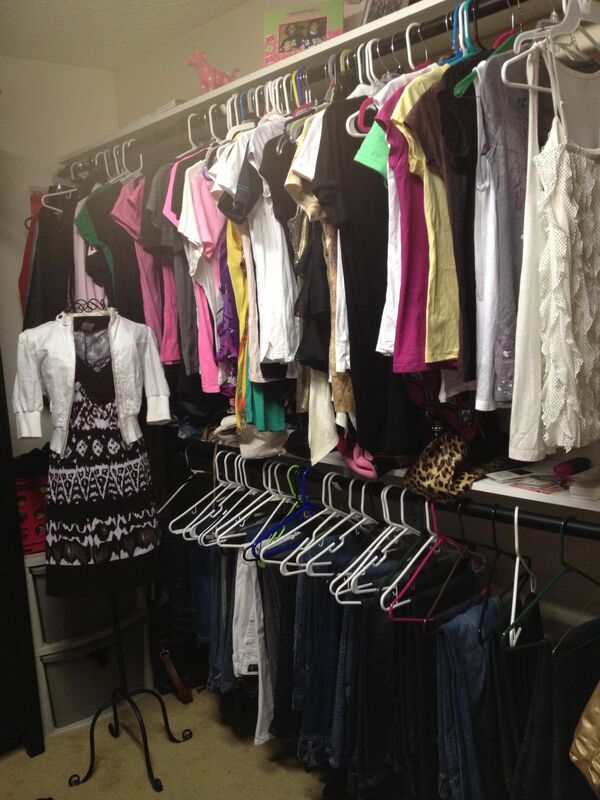 About a month before I moved to my husband’s house, he suggested that he build the dressing room instead of wasting money on the racks. We went to the Container Store to look at some of their closet models, but they are crazy expensive. He insisted that he could build it without any help. 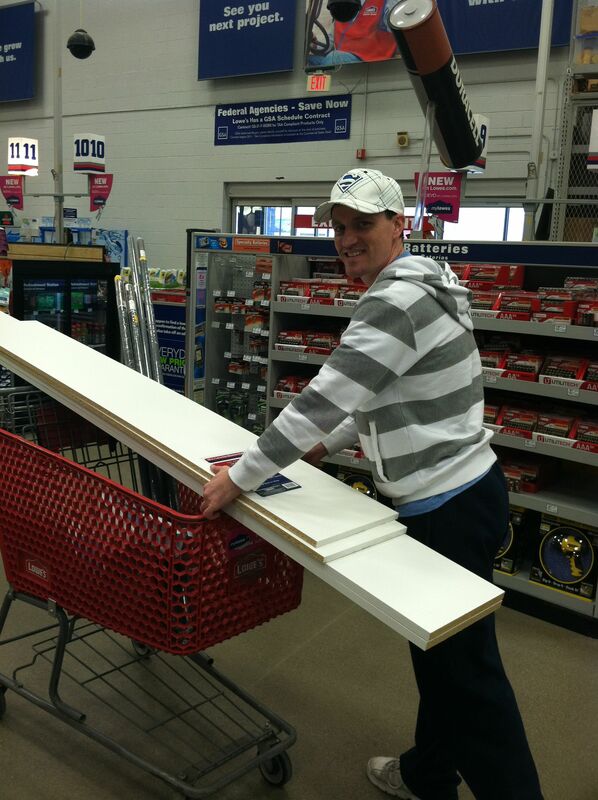 I was skeptical but off we went to Home Depot (or Lowes or some other hardware store). We bought rods (shower rods are cheaper than closet rods), wood for the shelves (pre-painted to save time), and some metal things to hold the rods up. When we got back to his house, he got to work! After the wedding, I moved all my clothes in! It’s funny cause my husband said when he was building the closet, he didn’t think I would fill it up. It was full immediately. I got that wire dress hanger for cheap from Marshall’s and put a dress and jacket on it that I never wear. I’m still working on other decor for the room. Hobby Lobby has some amazing decorations, but they’re pretty pricey. 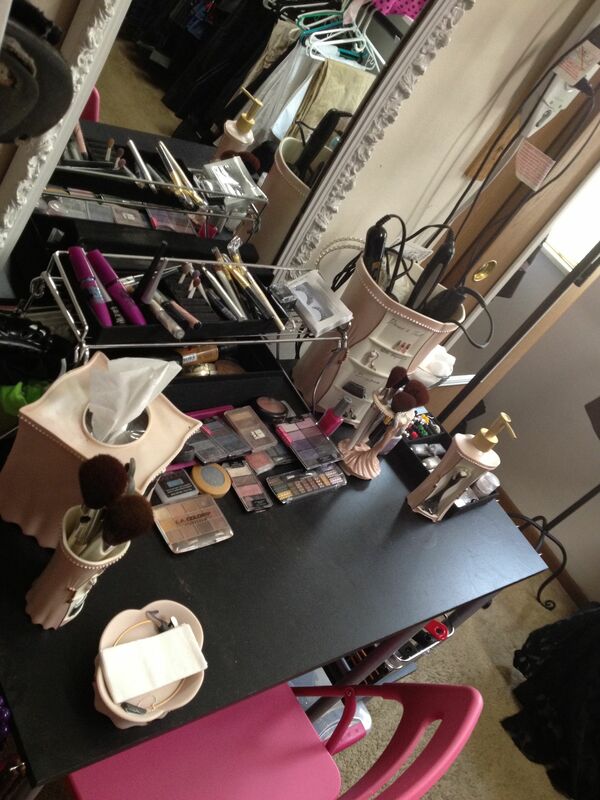 No dressing room is complete without a vanity for all the makeup I rarely wear. I had a cheap Walmart computer desk and a pink chair from IKEA, so I’m using that for now until I get a nicer vanity and stool. Next to the mirror, my husband nailed a board in the wall and hung up my power strip, so my cords aren’t trapped and tangled under the vanity. Super handy!! Who says you need Carrie Bradshaw/Mr. Big money to have a nice dressing room? This is a very inexpensive way to turn a spare bedroom into a functional place to store all of your clothes and accessories! 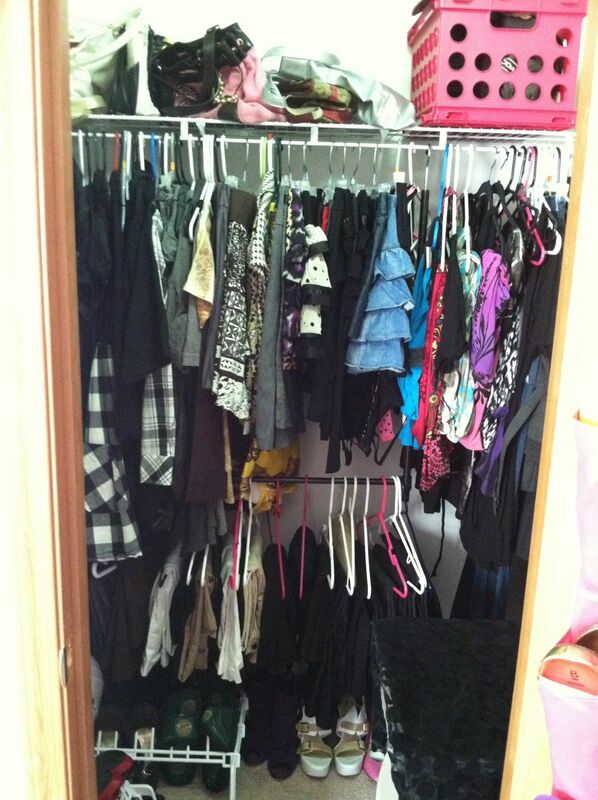 I have been obsessed with your closet since I came to visit and now of course I want my own. I do not nearly have as many clothes as you so feel free to donate 😉 lol love ya! This is absolutely awesome and just knowing that he cared enough to invest time in this to make you happy must really warm your heart! Congratulations on your new closet, on your fiance and to him for picking a quality woman (I’ve read some of your opinion blogs and you definitely bring food for thought!). Keep up the good work and congrats on your husband and your closet! I came across this post (via Pinterest) because my husband and I are in the process of making our own dressing room 🙂 Yours looks fantastic already in these pictures… Did you ever post an update? Nice! 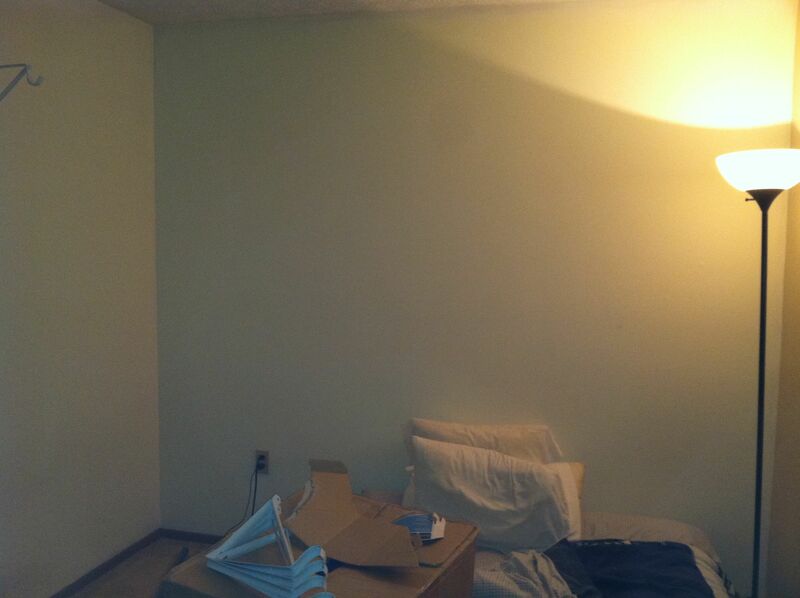 I did this with a tiny bedroom a few years ago. I wish I had space for a vanity like yours, and I LOVE the dress hanger. 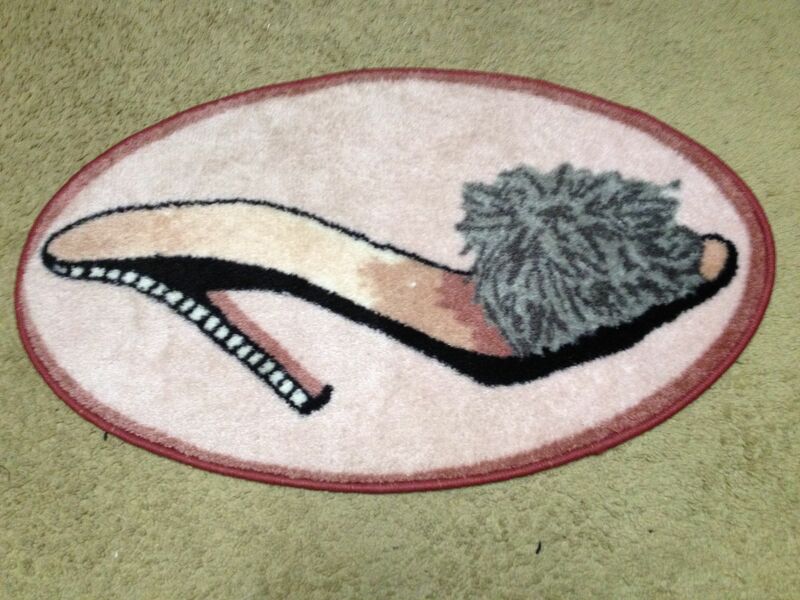 I’m going to look for one of those and a fabulous vintage dress to put on it. Here’s a hint for anyone making a closet. I used tall laminate bookcases for shoe and purse storage/display on one wall and another narrower one with square compartments to stack sweaters. I added more shelves to the one for shoes since the shelves don’t need to be very far apart.